This page serves as a public archive of some material from my website as a musician. Below you’ll find audio samples; I also maintain my repertoire lists as record keeping for those interested. I hold a Master of Music in Piano Accompanying and Chamber Music from the Eastman School of Music and a Bachelor of Music in Piano Performance from Virginia Commonwealth University. I’ve performed a wide variety of music in a wide variety of places. My absolute most favorite thing to do is play as a part of a large ensemble – I’ve done everything from Southern Baptist church praise music to harpsichord in a Baroque chamber orchestra to celeste and organ with wind ensemble to piano in new music ensembles. I’ve also explored a large percentage of the clarinet and piano repertoire with my husband. 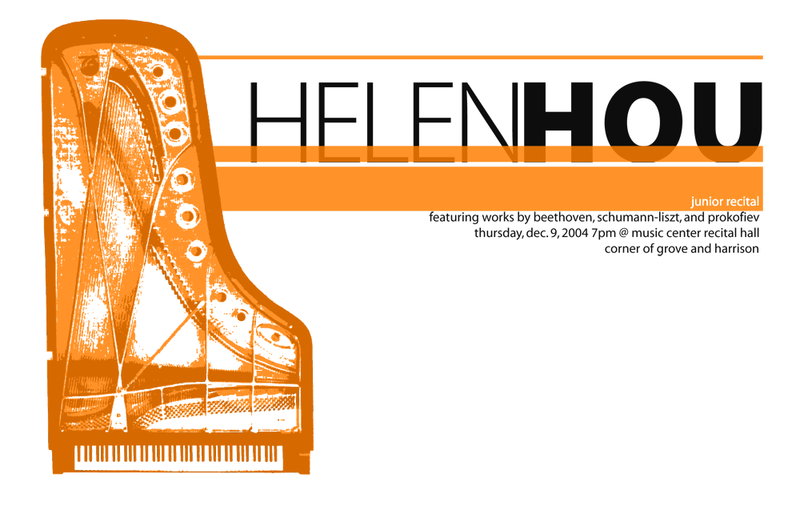 My beloved screen printed poster for my junior recital, commissioned from Spencer Hansen.